Flavor: old-fashioned Darjeeling flavor: rich, sweet, and lush flavor with a concentrated full-body. Supremely elegant and lively in the cup, 1st and 2nd Flush Darjeeling teas are among our most prized teas. 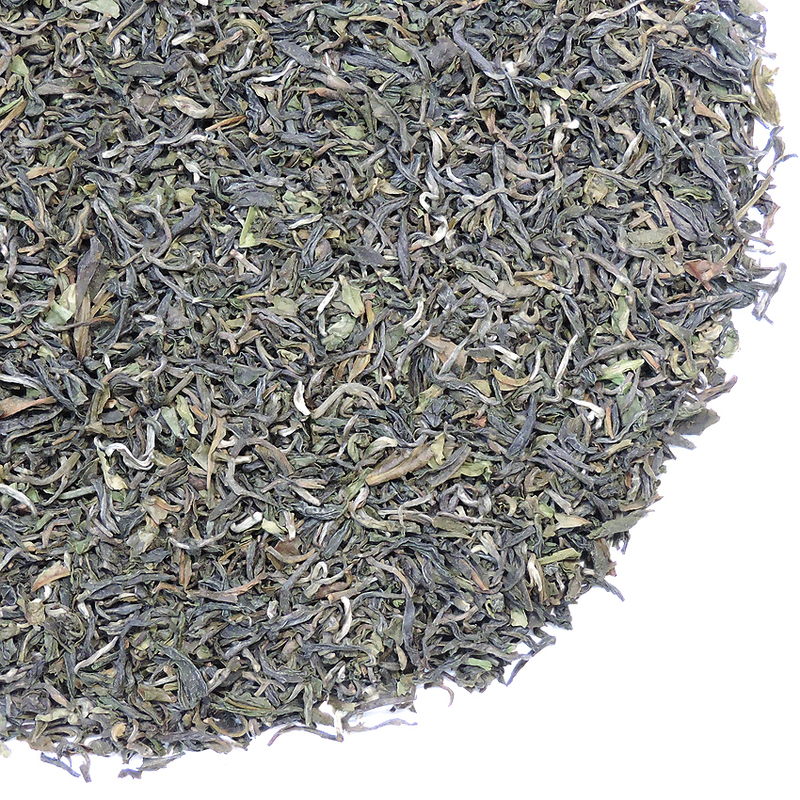 The flavor of this delicious Darjeeling is nearly perfect. It has a concentrated, rich, lush flavor. The leaf is very even and well-manufactured. The leaf is one of the most beautiful that we have seen in some time, and extends to the style of the re-hydrated leaf after steeping also. You will notice right away that the dry leaf has a very pungent, intriguing aroma, that makes you stop and pay attention. The leaf is darker than most 1st Flush Darjeeling teas, and, while the particle size of the leaves in this lot is a medium-large size, the flavor is more that of a fine pluck (small leaf). There is little of the ‘German green’ in the leaf, and the slender leaf has a well-formed, slight twist to it. This garden uses principally China bush plantings for the leaf for this tea. Tea Trekker’s three Poobong Tea Estate selections for our 2018 1st Flush Darjeeling tea selection offer commonality on the one hand and very different personalities on the other. While the prominent taste is that of an old-fashioned classic Darjeeling, there are also intriguing highlights that peek out and show a modernity that involves sweetness, concentration, and an intensity of flavor that is refreshingly contemporary. 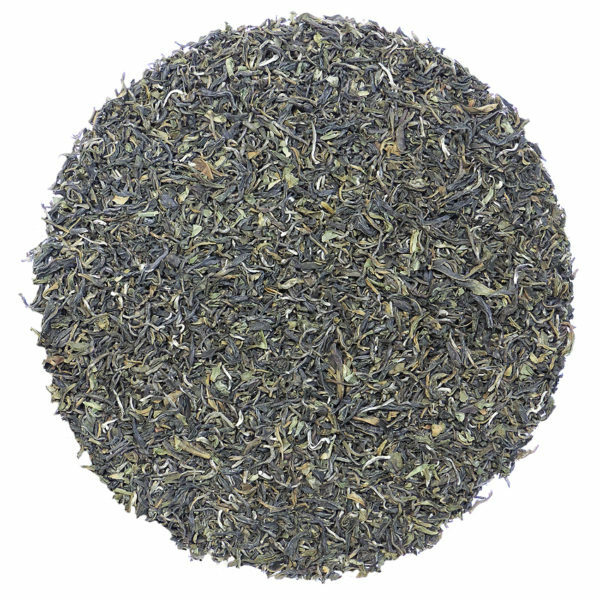 We here at Tea Trekker had a very difficult time trying to decide between many samples of this spring’s Poobong 1st Flush selections for what would normally be our single 2018 Poobong Tea Estate 1st Flush Darjeeling tea. So I decided that the best course would be to offer several ‘lots’ of the tea (as they are referred to in South Asia) and allow for both variety and a unique vertical tasting. It is fascinating to taste three teas all from the ‘same‘ garden and harvest, that have such different personalities. In addition to the classic Darjeeling taste and Poobong Estate’s unique ‘sweetness’, this tea is deeply-flavored, meaning that if one were using glass a metaphor, this Lot #3 would be tinted very darkly, Lot #1 would be tinted lightly, and Lot #2 would barely be tinted at all (in fact it might be more of an amber tint that helps to highlight contrast as in overcast conditions). 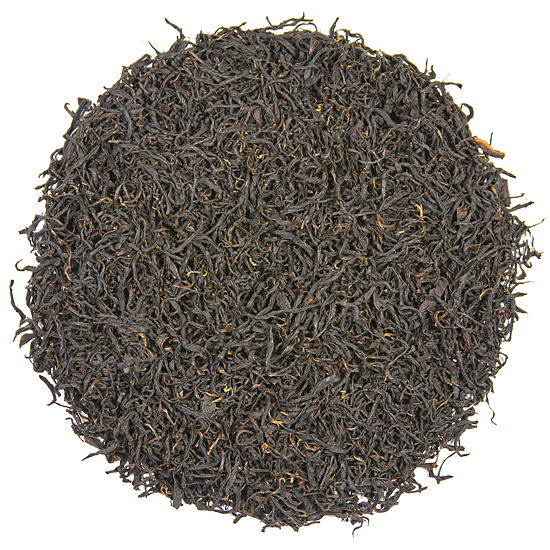 We think that this Darjeeling nicely bridges the ‘gap’ between the 1st Flush season and the 2nd Flush season. There is a bold heartiness and full-bodied character to this tea that is in many ways more like the flavor notes of a 2nd Flush Darjeeling than a 1st Flush. We particularly notice the tastes of fresh and dried stone fruit, flavor elements that are often associated with oolong tea, and that contribute to this tea’s hearty style. Poobong Tea Estate 2018 1st Flush tea is not finicky – we have steeped it for varying amounts of time with no unpleasant ‘bolting’ or off taste. While we tend to steep our Darjeelings for about three minutes, this 2nd Flush will show well, we think, when steeped ‘Chinese style for 2 mins or less, or if you steep it longer, even 4 to 41/2 minutes. Because it is 100% China bush leaf, we like to use water that is just slightly cooler than the normal temperature for black tea. And be sure to try a second steeping – but only if you steep it short the first time. Try using half the water of the initial steeping and you will enjoy a bit more liquid tea from the leaf. Poobong Tea Estate is a small garden in the prime growing area of Darjeeling. Located at the very high altitude of 2500 to 4500ft, on one of the highest peaks in Darjeeling, the China bush plants in this garden thrive the way they do at the higher elevations of Anhui Province or upper Yunnan in China, or in the high mountain areas of Taiwan. The landscape around Poobong produces abundant clouds & mist moisture, quite similar to the weather patterns in the mountains in China. We are happy to be working with Poobong Tea Estate again this year. This tea came in at a reasonable price again this year – but do not be fooled by this, it is an awesome tea!